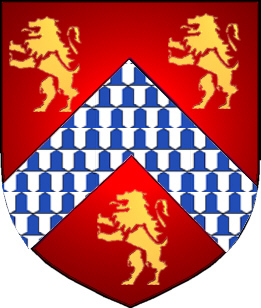 A red shield with a chevron vair between three gold lions rampant. 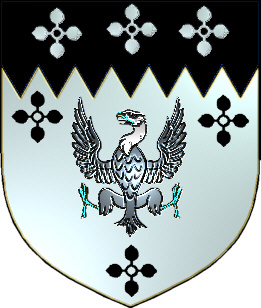 Out of a ducal coronet a demi eagle wings expanded sable. 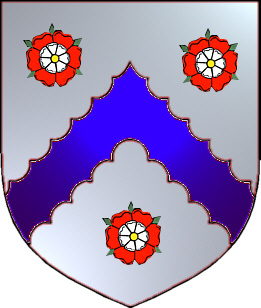 Coat of Arms: Silver, with a chevron engrailed between three red roses. 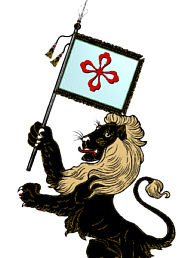 Crest: A black demi lion rampant holding a silver flag with a red cross. Motto Translated: The axle and coryg. Spelling variations include: Whyte, Wight, Whight, White, MacWhite, MacFaoitigh and many more. First found in Ireland after the Anglo-Norman invasion of the 12th century, when Walter Whyte is known to have come to Ireland with 'Strongbow'. Some of the first settlers of this name or some of its variants were: William White and his wife Susannah, who immigrated to Plymouth in 1620 with their sons Resolve and Peregrine (who was born in Cape Cod Harbour on board the Mayflower in 1620. 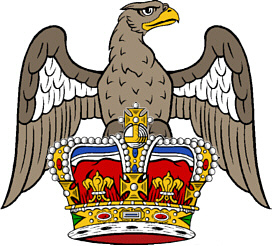 Argent, an eagle displayed between three quatrefoils sable, and on a chief indented of the second as many quatrefoils of the first. Motto Translated: Acquired by work. WHITE (British). "White, of hair or complexion." Spelling variations include: White, Whyte, Wight and others. First found in Durham, where the white family held a seat from very early times. 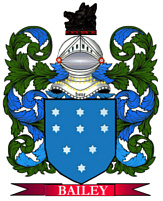 Note: For the German 'White' surname, see Weise. First found in Durham where they held a family seat from very early times. Some of the first settlers of this name or some of its variants were: Peter White settled in Witless Bay, Newfoundland, in 1676; Arthur White settled in Ferryland in 1706. Many settled in Newfoundland, in such places as Harbour Grace, Bacon Cove, Bonavista, Petty Harbour, Greenspond, Ship Island, Salmon Cove, and Heart's Content. William White, his wife Susannah, and sons Peregrine and Resolve, settled in Plymouth in 1620 (Peregrine White was born in Cape Cod Harbour on board the Mayflower in 1620, thus becoming the first child of English descent born in New England). William White settled in Virginia in 1635.